Design Theme: Self Assembly Decoration for a Special Event. A Special Events Organiser has been asked to organise a birthday party. 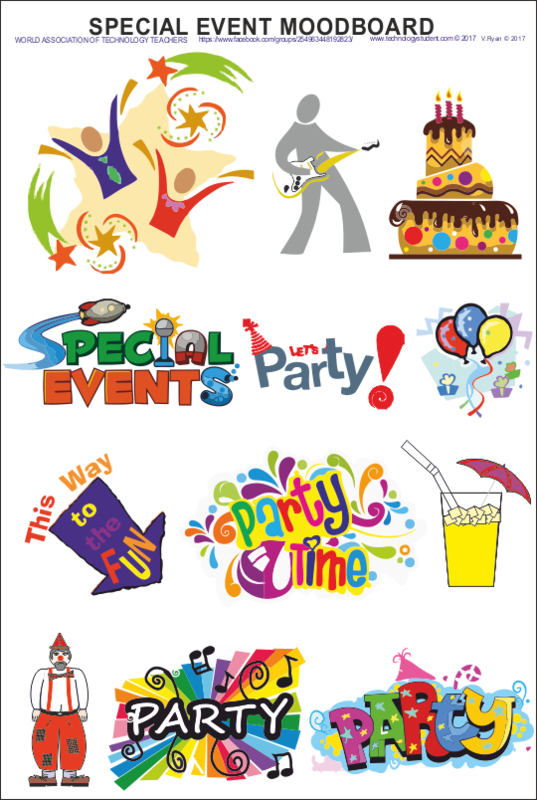 This involves a organising every aspect of the party from booking the venue to the decorations. 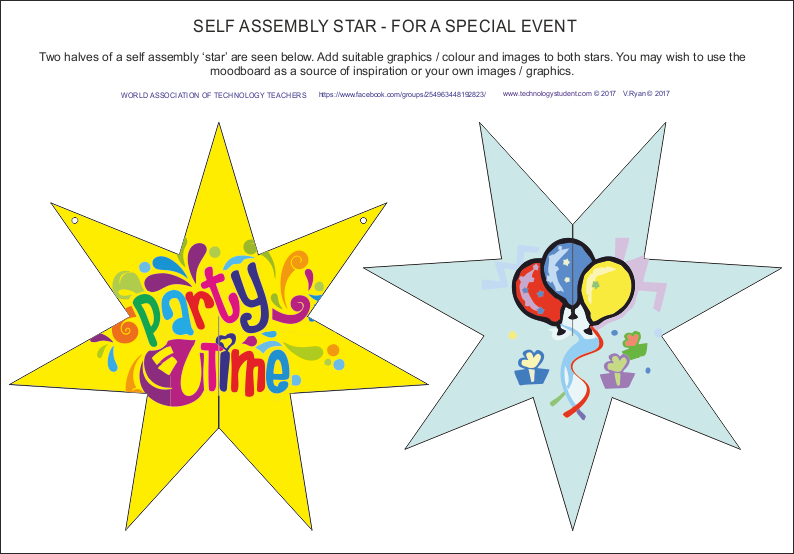 You have been asked to design a range of self assembly decorations for a party. Use the moodboard below, to help with your designs. The decorations must appeal to all age groups.. These star shapes interlock to form a 3D star. They are decorated with ‘Party’ themes. 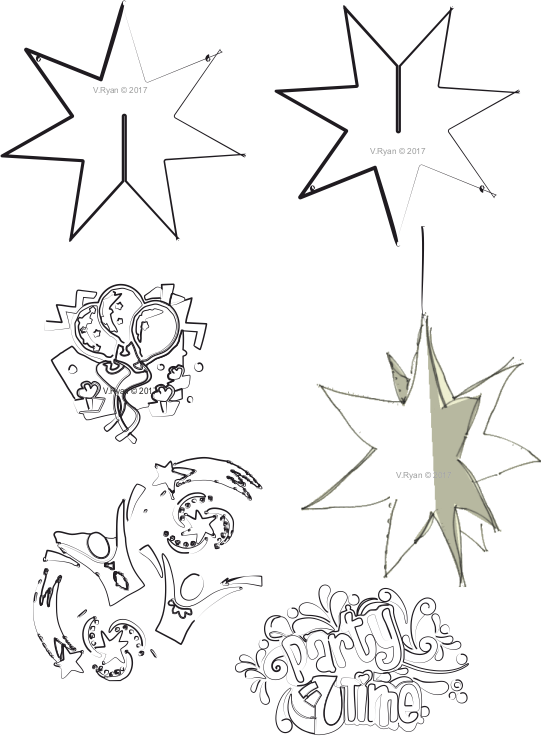 Two holes in one of the stars are used to hang the completed star from a light fitting or ceiling. Each star will be supplied in a range of colours and themes. This means that when the stars are slotted together, different ‘Party’ themes can be selected. A bright colour scheme has been applied as this will promote the ‘party’ atmosphere. Also, suitable images such as balloons have been included. The two stars each have a slot which means that they can both slot together. Commercial quality card has been used (250 microns), with the images being printed through the printing process called lithography. The assembled stars are hung by two lengths of colourful string. 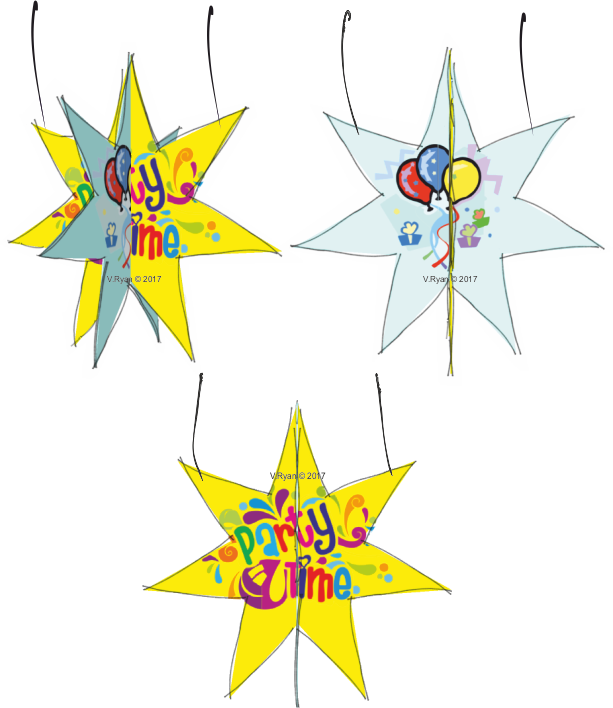 After the event, the stars can be disassembled for storage, to be used at another event, or placed in the paper/card recycling bin.